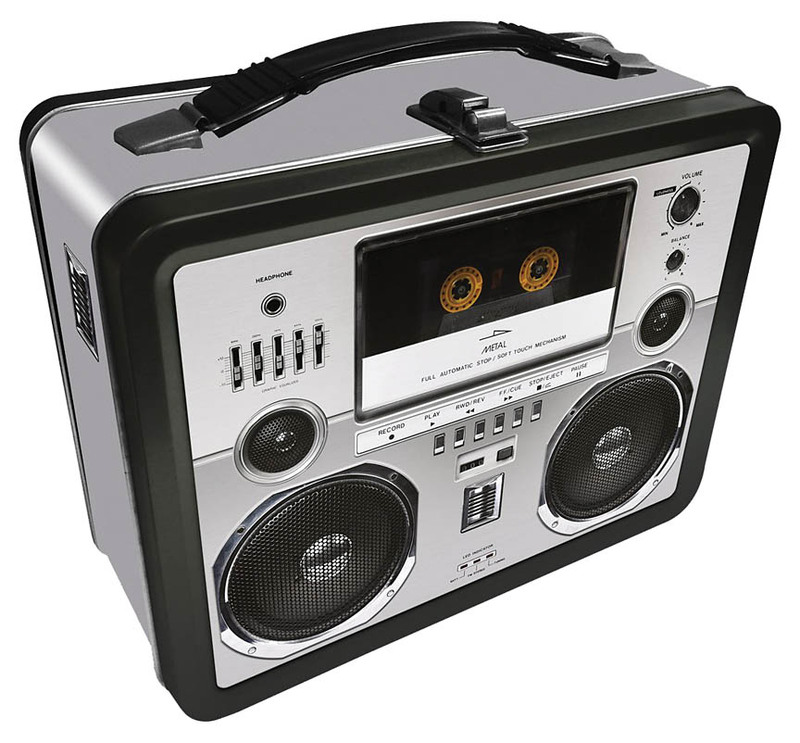 Claim your old school self with this Gen 2 boombox. It measures 7.75″ x 6.75″ x 4″; has an embossed front cover and beefy handle. Great for storing your stuff – did anyone say CASSETTE tape?